A friend of mine posted the below statement on Facebook, and I thought it was so very well said and definitely worth sharing. So here is Erin W. Enjoy! I have been thinking about this for some time. Who, or what, determines a weed? Is it something once decided and never questioned again? Is it decided only by what the grower wants and what he doesn’t? The clover, with its fragrant white flowers and lush green is a persistent nuisance, and attracts bees which make honey. Yes, bees make honey. 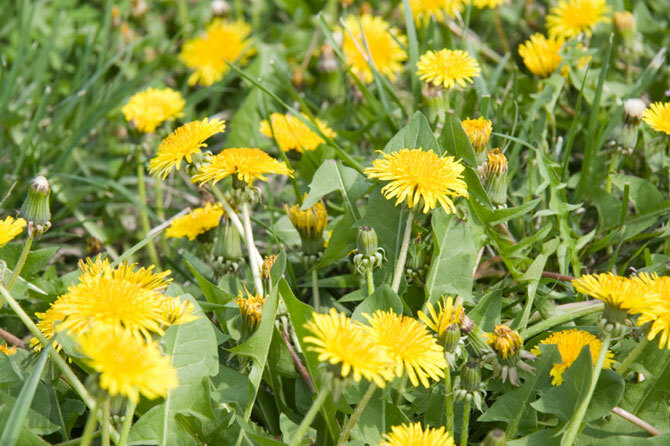 Dandelions, tall and lanky, sprout tall and require more frequent mower passes. Honeysuckle can take over a yard. It is also sold in many stores for its hardiness and unmatched scent. Before we spray these away with poisons that will eventually head for our soils, our foods, our water supply, and rainfall, do we wonder why we spray? Do we reconsider pulling these up by the root? Do we consider the benefits of the natural-grower, the loose-springer, the hardy-climber? Or do we only want regulation and control – a lawn where every blade is identical? I have seen the relentlessness of periwinkle, and have watched honeysuckle thwart daffodils. I certainly appreciate the maintenance required of keeping all vital threads in check. But, as our lawns take over this wild world, we must consider the significance of the wild world we are replacing. If you’ve ever tasted a fresh blackberry, you know there is purpose there. This is no mere plant defense. As we increasingly communicate and receive information through our systematic intelligence sources – our devices, our google - what wild thoughts are dying for the poison we are pumping? Just as dandelions and blackberries seem to spring out of nowhere, so do some of the most valuable thoughts, the ones that could heal our minds, and thus our world, if we would allow them to breathe. When you simply be, it is incredible what “comes” to you in the quiet that is never quiet. You begin to see the strength and resourcefulness of the human mind, released from the distraction of entertainment. You begin to reconsider your priorities. You wonder what determines a valuable thought and what determines a weed. I love this post! My daughters have always brought me flowers and their father would always say, "That's no flower, that just a weed." It always broke my heart for them. Those beautiful weeds will remain gorgeous flowers in my heart forever.